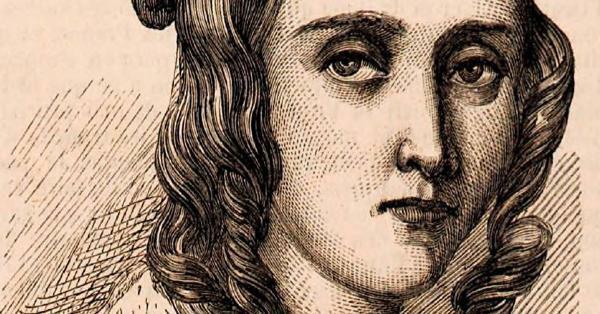 A woman in 19th-century France equaled her male peers in composing music. What can we learn from her career about how to close the gender gap today? “This ain’t no special pleading,” wrote Tom Service when he ranked Louise Farrenc's Third Symphony alongside Mendelssohn in a guide to the 50 greatest symphonies. In her own day, Farrenc won praise from Hector Berlioz and Robert Schumann, and recently she’s been called “arguably the greatest woman composer of the 19th century." What's not arguable is that in her day, women were all but frozen out of professional composition. How Farrenc overcame such barriers back then sheds light on how we can eliminate them now. Farrenc also illustrates why gender balance matters for classical music. It's not because women compose differently than men - as Service notes, there's nothing "feminine" about Farrenc's music. Rather, it's because excluding half the population means excluding half the genius. The long 19th century towers over classical music, but its legacy would tower more if women hadn’t been discouraged from adding to it. The discouragement ranged from the informal to the systematic. In Farrenc’s day, only 10% of the faculty at the Paris Conservatory was female, but more striking is that until 1870, women could not even enroll in composition classes. Farrenc had in 1842 become the Conservatory's second woman professor (the first, an aristocratic founder in 1795, left after two years), but during her 40-year tenure she was allowed to teach only piano, not composition. I can't think of a tune more irresistible than the All Things Considered song, except, maybe, the Mexican Hat Dance Song. But as you listen to Farrenc’s Quintet, the power of her harmony and counterpoint makes you forget the familiar radio theme, and draws you into a noble realm that became less accessible to later, more ironic, eras. 1. First, Farrenc never fell for the Amadeus Myth. By that, I mean the belief that great art flows mystically through a divinely inspired elect, who are thereby spared from working at it. The pithiest buster of this myth may be Pierre Renoir, who told his students, "First become a good craftsperson, then the genius will take care of itself." A generation before Renoir, Farrenc embodied that principle. So did Amadeus. The great musicologist Neal Zaslaw demonstrated that, contra Peter Shaffer, Mozart was “a working stiff,” who sat down at his keyboard to sketch, draft and revise. In childhood, Mozart had been drilled in harmony, counterpoint, form and technique by his overbearing dad, and before maturity Wolfgang put in far more than the 10,000 hours of practice prescribed by Malcolm Gladwell. Yet in his late twenties Mozart needed several years to write his greatest set of string quartets, which he then called "the fruits of long and laborious endeavor." As the child of artists living in the Sorbonne, Farrenc had first-rate piano instruction, and when she later decided to focus on composition she embraced its rigors with her characteristic discipline. Since she couldn’t take Conservatory classes in composing, she sought private instruction from the Conservatory’s director, Anton Reicha, the man who first used the term “sonata form” to codify the style of Haydn and Mozart. Such thoroughness informed her teaching, too: when she published a set of piano etudes, which became standard at the Paris Conservatory in the 19th century, she commenced in the style of Bach then moved forward historically. As a composer, her craft equaled that of male contemporaries. Insufficient narcissism was never a problem for, say, Richard Wagner, who when he was not the center of attention at a party let out a “brief but piercing scream.” Wagner declared himself the future of music, wrote a 20-hour opera cycle meant to change music history, and convinced a mad king to build a new complex for its performance. Of course, massive egos can be found in musicians of both genders, as can self-doubt. (And the optimum degree of self-doubt for an artist is greater than zero; self-criticism surely contributed to Farrenc’s combination of productivity and consistent quality.) But some professions systematically cause women of talent to doubt themselves more than men of talent, and classical composition is one. We can see why by looking at mathematics, a discipline closely related to composing, partly because both fields emphasize the ideal of the "lone genius." In the title of this post I used that g-word, but the ideal may itself be part of the problem. Fields that exalt genius, a recent study found, tend to be dominated by men. More broadly, NPR’s Shankar Vedantam reports on research showing that in mathematics and science women are discouraged not so much by overt discrimination as by subtle, often unconscious, messages. Even female teachers judge students to be better at math if they believe they are male rather than female (the researchers randomly assigned the gender attribution of the work judged by the teachers). Women then internalize these stereotypes. Research shows that women who are accomplished professionally in mathematics tend to feel that they are “impostors,” and that on tests of math skills, girls perform better if the name they write at the beginning is a fake, while boys perform just as well if they write down their own name. Louise Farrenc is not the only great woman artist who was able to fulfill her talents because of a partner's encouragement. 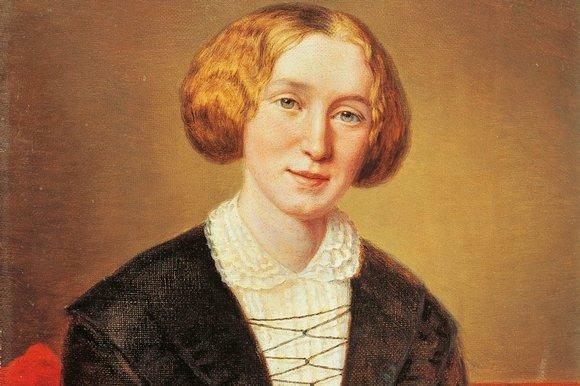 Marian Lewes took up fiction (with the pen-name “George Eliot”) only after her husband, George Henry Lewes, suggested it to her, and she went on to write the greatest novel in the English language, Middlemarch. In an era when countless men attained greatness only because a wife encouraged them (in the 20th century, consider Vladimir Nabokov), the Farrenc and Lewes marriages were all but inconceivable. 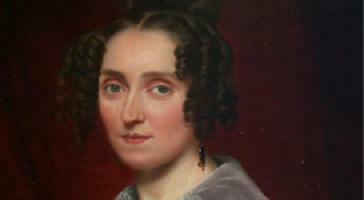 Far more typical was Fanny Mendelssohn-Hensel, a gifted musician temporarily forbidden to compose. My point is not that great artists need spouses, male or female. It’s that greatness is less likely to emerge when you’re indoctrinated with the idea that you don’t have what it takes. To state that in positive terms, genius is far more likely to emerge when somebody is telling you that you do have it and should run with it. Farrenc shows what can happen with a little encouragement. 3. This brings me to the third element that Farrenc illustrates: To achieve its work, genius needs time - just plain hours in the day - and women were systematically denied it more than men were. Mozart did not really dash off his greatest works in moments; Brahms needed decades to write his first symphony. He had the time, since he was a full-time professional composer. That was not the case for his closest friend, another 19th-century giant, Clara Schumann. While she equaled Farrenc in compositional talent, she was by the age of 37 a widow with eight children to raise and an income to earn. When exactly could she have written a symphony? The problem hasn’t disappeared: fiction writer Lorrie Moore responded a few years ago to a critic accusing her of writing too little - excuse me, she said, I'm a single mom with a full-time job. Moore said she needed a Vera Nabokov; maybe an Aristide Farrenc would have been even better. The Nonet was such a critical success that it gave Farrenc the courage to complain to the director of the Conservatory, Daniel Auber, about how much less she was paid than comparable male faculty. Her letter goes into detail, and it is a measure of the respect she had earned that Auber immediately agreed to raise her salary to parity. Christin Heitmann has done the most important research, and she's posted an excellent guide (in English) online here. On the page, click on the "More" buttons for the full story. Bea Friedland's research restored Farrenc to modern musicology, and her 1980 biography is still excellent. Tom Service's Guide to the 50 Greatest Symphonies is not to be missed! At first glance, it seems that compared to other arts, classical music has an unusual degree of male dominance. But a careful look suggests that its gender balance is not at all exceptional. Is Parity Time Here for the Classical Violin?